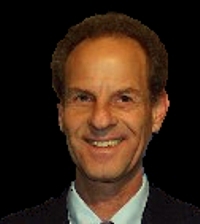 Doctor Ronni Wolf graduated from the Faculty of Medicine of Bonn University, Germany, and completed his dermatology training in the Department of Dermatology, Beilinson Hospital, Petah-Tiqva, Israel. He is currently Associate Clinical Professor of Dermatology, The School of Medicine, Hebrew University and Hadassah, Jerusalem, Israel and Head of the Dermatology Unit, Kaplan Medical Center, Rechovot, Israel. In addition to serving on the Editorial Board of SKINmed, he is a member of the Editorial Board of the following journals: Journal of the American Academy of Dermatology (JAAD), International Journal of Dermatolgy, Journal of the European Academy of Dermatology and Venereology (JEADV), Clinics in Dermatology, Acta Dermatovenerologica Croatia, Journal of the Turkish Academy of Dermatology, and The Open Drug Safety Journal. Doctor Wolf is the Editor of 15 books or monographs and author or co-author of ten book chapters and of 290 publications in peer reviewed journals. He has been an invited speaker at 50 scientific meetings.